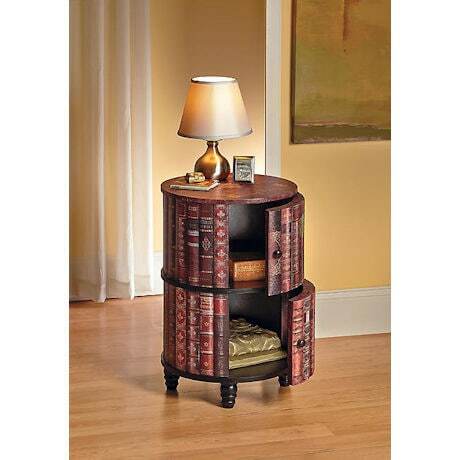 What looks like a carousel bookcase filled with vintage volumes is a roomy little cabinet that doubles as a table. 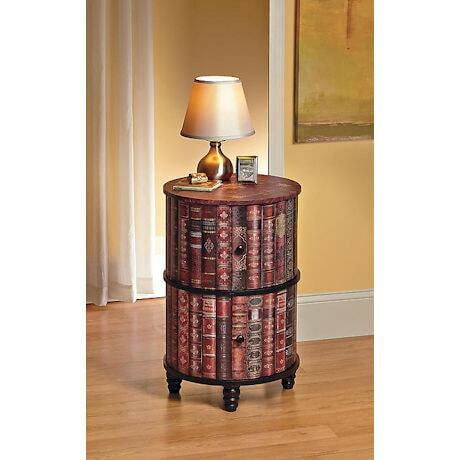 Faux leather over MDF, two-door cabinet is 18" diameter, 29" high. Simple assembly (screw on legs). No Rush or Express. Ships to 48 contiguous states only. Extra shipping charges for this item: $+20.